Ok, if you follow me on Instagram then you already know we actually adopted him over the Christmas holiday. We found our little Havanese through Craig’s List, from a family that could no longer keep their fur baby. We had been praying over the decision about whether or not to get a dog for more than a year and a half, going back and forth as to whether or not it was the right decision for our family. 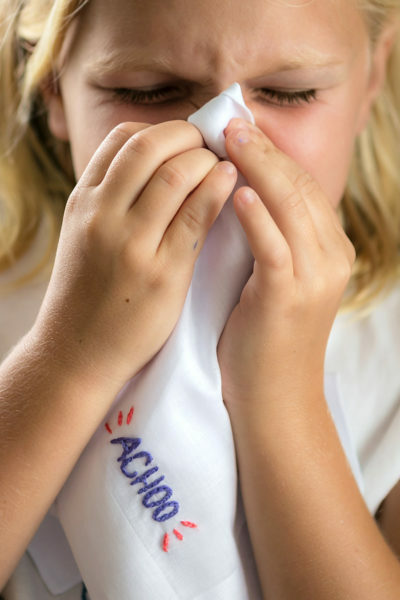 We debated whether we should get a puppy vs. rescue a fully trained dog, big dog vs. little dog, finding a dog that would do well with our energetic kids, and of course a dog that my son and I could actually LIVE with due to our crazy bad allergies. And then we met Sampson. It was Christmas Eve when I stumbled across his posting on CL. I woke up early that morning, and was browsing my phone randomly – and there he was. This little 1 year old allergy friendly doggie, that happened to be a breed that my friend who works at the SPCA told us would be a good fit for our family. Immediately I responded, hoping he was still available for us to meet. I may have been a little overzealous texting a stranger at 6am….lol. Yikes! But they were kind, and responded in the affirmative. The drive over was torture. Trying to explain to our 3 kids that we were going to meet a dog, but there was a chance that he might not fit into our family. That there was no guarantee that he would be coming home with us. As you can imagine, our 3 kids were elated with this surprise. But keeping their hopes in check was hard. All it took was one look, and my husband and I just knew that this was the dog for us. He came home with us that morning, and was the best Christmas present ever. Right after he peed on our tree. He is just like another one of our kids, so stinking cute, and is already our son’s best friend. My son used to wake up and come to me for his morning hug, now he goes straight for the dog – lol. Sampson comes with me everywhere, he hates to be left behind, and is a fantastic car dog! He even goes on my morning runs with me around the lake. So active and lovable. He loves to play, and is extremely smart. Needless to say, we love him. 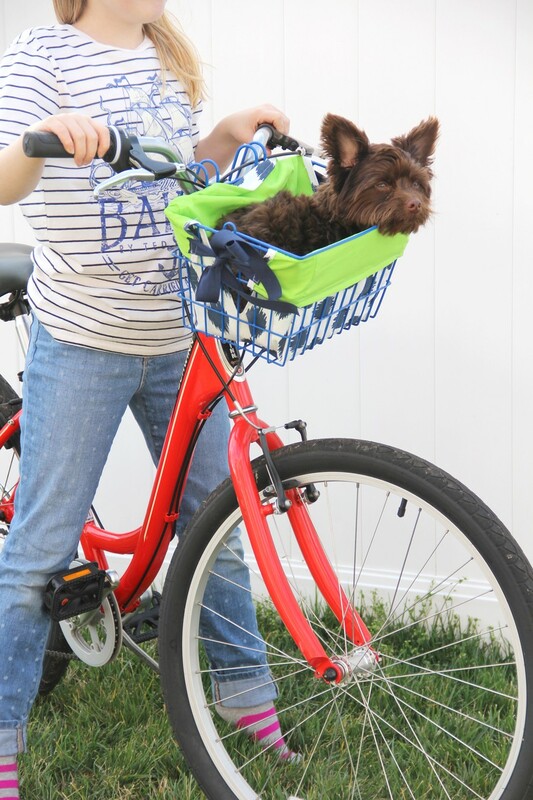 And with Summer around the corner – we decided it was time to get him a place in our family evening bike rides. He looks a little bit like Chewbacca. Am I right? 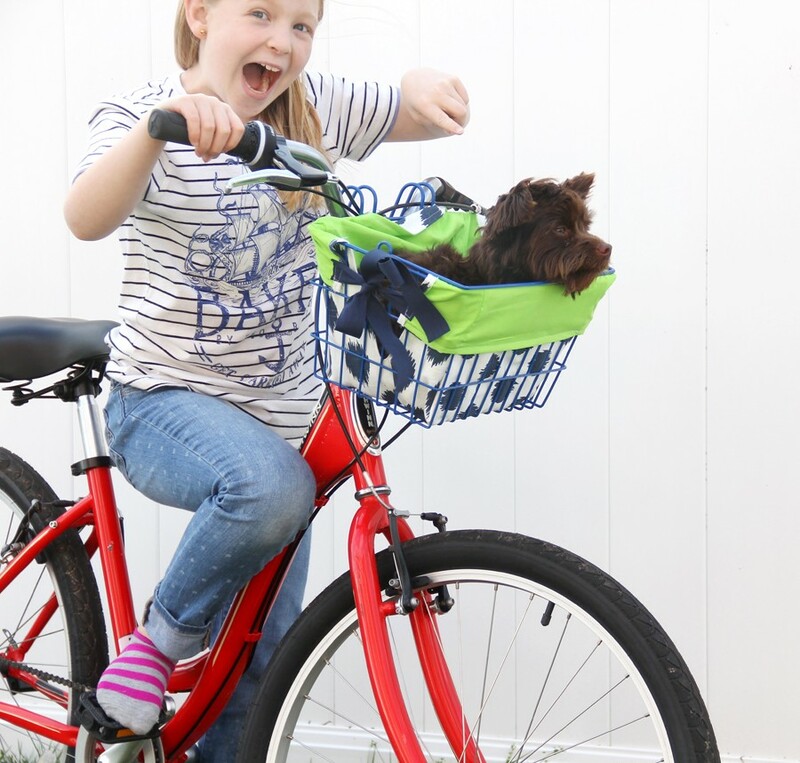 Lol – our little Chewy dog. Using a fabric marker or chalk, draw an ‘x’ on the wrong side of your fabric from one diagonal corner to the opposite corner. This will help you mark the middle of your fabric. 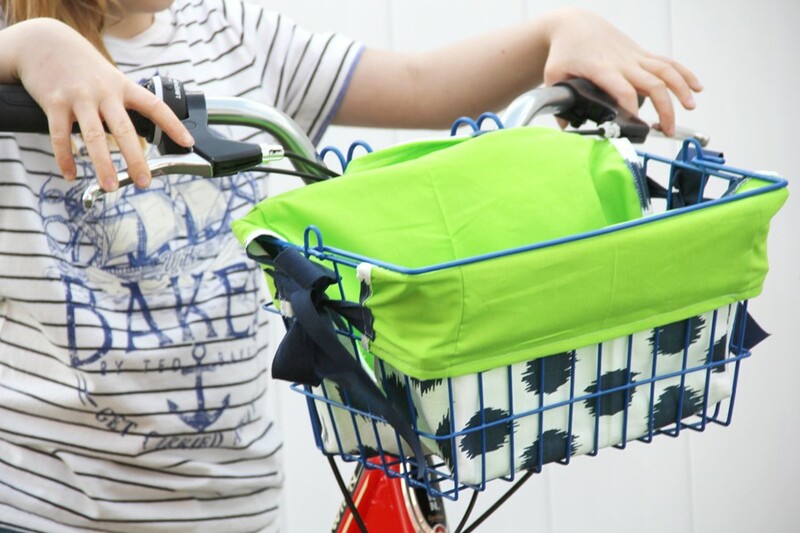 Next, using the length and width of your bike basket, draw a rectangle around the center of your fabric to indicate the bottom of the bike basket. Draw straight lines from the center rectangle points on your fabric to the edge of the fabric. 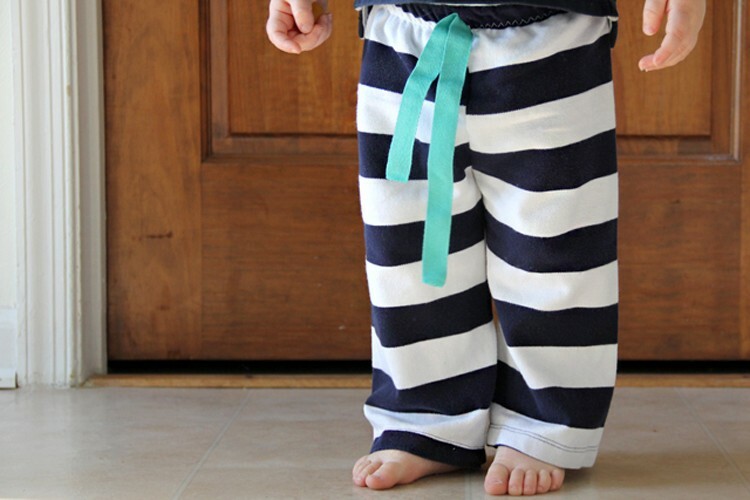 Add 1/2″ seam allowance around your straight lines, and cut off the square corners of your fabric. Repeat for both lining and exterior basket liner pattern. Fold the cut corner edges of the fabric to meet, right sides together. Pin and sew. Repeat for all corners, lining and exterior. 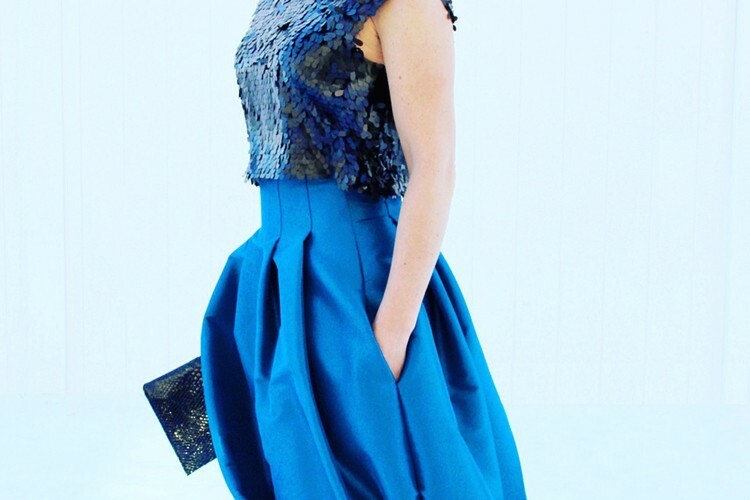 You should now have a box like fabric shape. 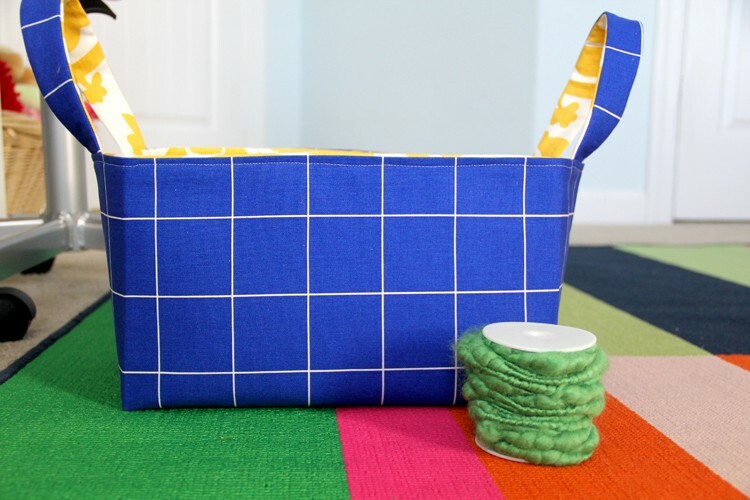 Along the width side of your fabric box, measure the center along the top edge, and cut a slit two thirds down the side of the basket. Repeat for both sides, on the lining and exterior. Slip exterior inside lining, right sides together, and pin the upper edge. Sew around, leaving a 4″ area open for turning. Turn basket right side out and press. Pin opening closed, with the raw edge turned inside and sew. Cut (4) 15″ pieces of ribbon. Pin edge of ribbon to side basket slit and sew. Repeat for both sides. If needed, sew 2 buttonholes along the back edge of the basket liner measuring first where the basket hoops are located. 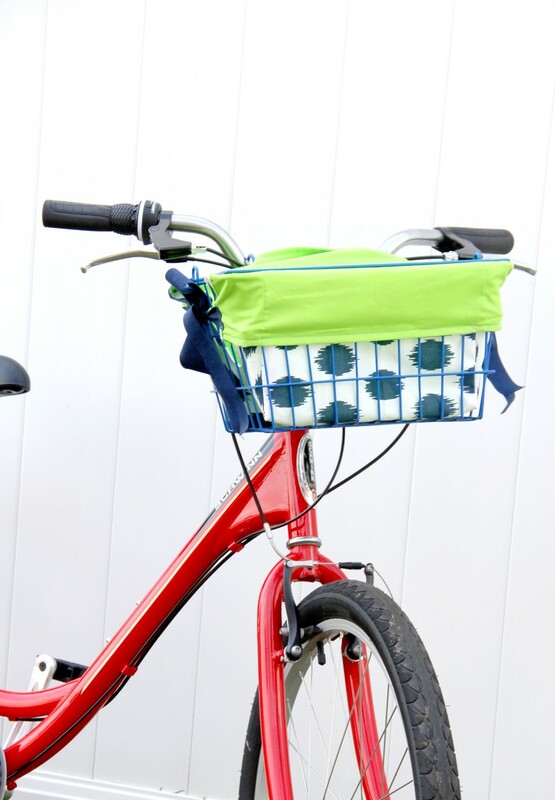 Slip liner inside basket, folding the top edge over the basket, and tie the edges to secure. 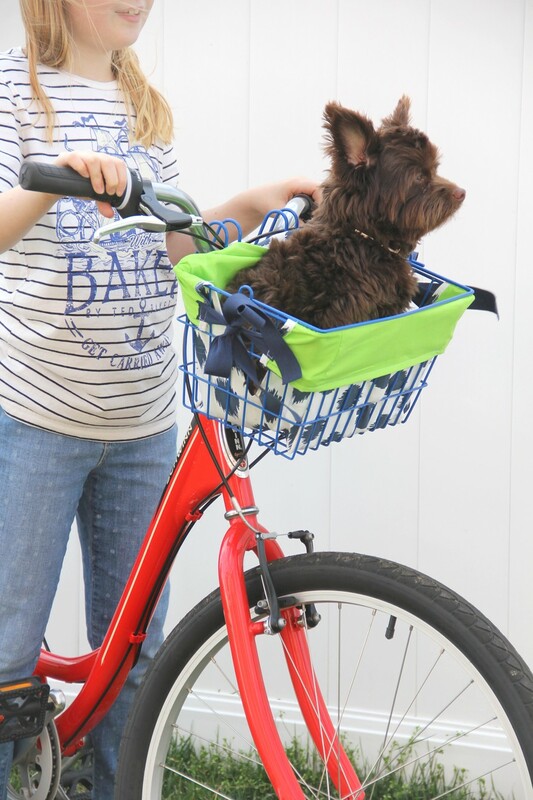 We simply placed a cushion along the bottom of the basket, and use a small leash to ensure Sampson cannot jump out mid bike ride. He is happy, so long as he is riding with us as part of the family! 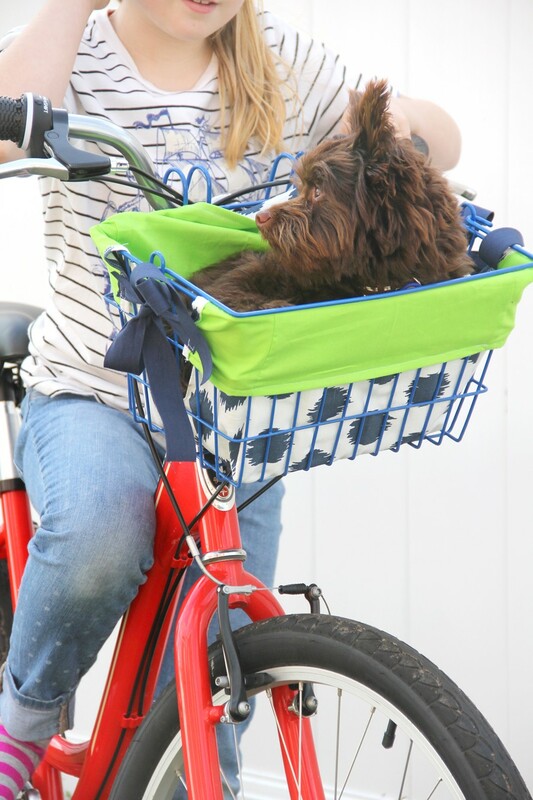 Looking for a cute doggie bike basket for your little pup? Here are some that I am loving on Amazon (affiliate links). 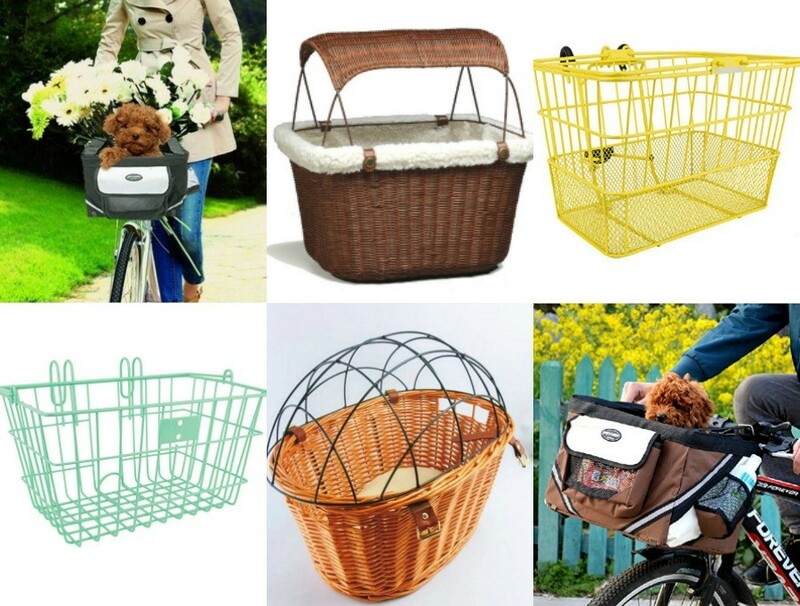 *Please note – the wire baskets are not designated ‘dog baskets’. I would suggest a little extra padding, and securing on with zip ties if used! But suitable if secured properly. What a great tutorial! I have looked for a liner pattern before and was so pleased when I found yours. It is easy and can’t thank you enough! You have an adorable blog and I will be coming back to it regularly. Hope you and hyour family are having a wonderful day.